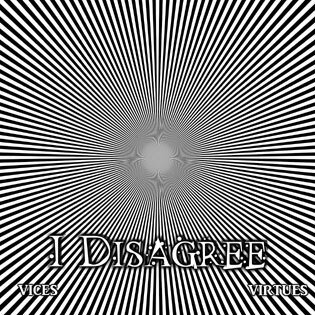 My band, I DISAGREE, recorded a double-EP: an album consisting of two half-hour discs respectively titled Vices & Virtues. 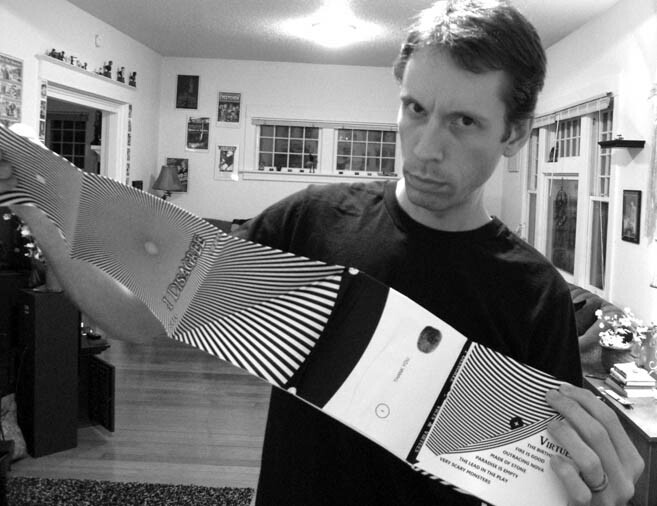 ... but you should purchase a copy of the album, because it's pretty unique. I wanted to do something interesting with the packaging. Something thematic. Something lo-fi. Something compelling, but just a little unsettling. It fucks with your eyes and mind to look at it. each with its own tracklist. 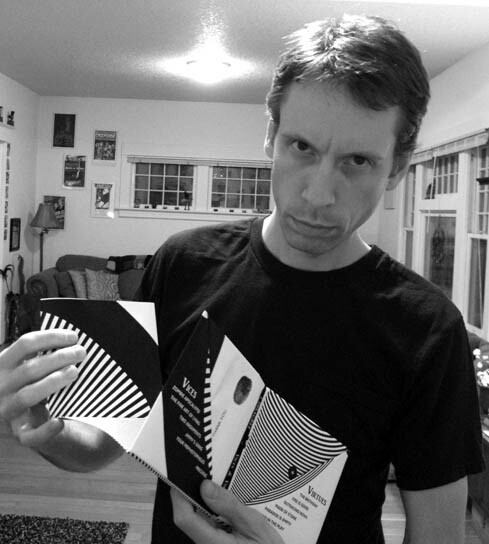 Take those two CDs out and listen them. and more artwork that fucks with your mind. 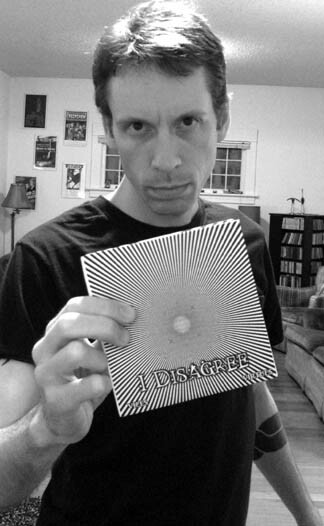 Buy the album ($11.50) or MP3s ($6.66) from CD BABY. The first thing I decided on was the cover. It's a test pattern image for configuring screen monitors. It's hypnotic. It fucks with your eyes and mind. 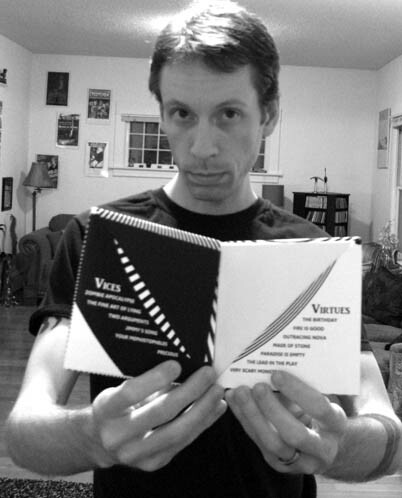 Plus it establishes the black and white theme that compliments the "Vices & Virtues" theme. 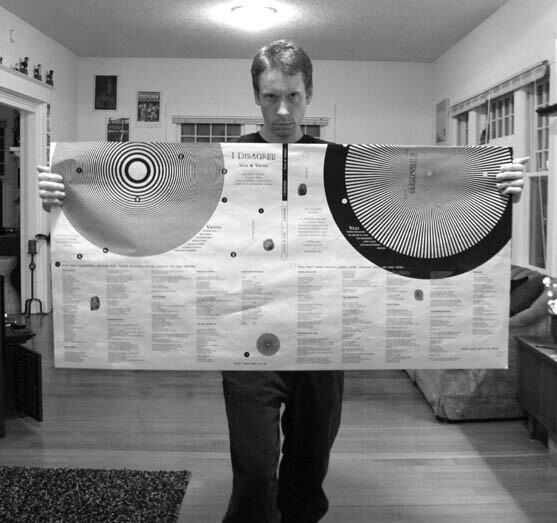 Fitting the lyrics in our CD package was important, but as you can see, it's quite large when unfolded (42" x 21.5"), so it was easy to fill the entire bottom half of the poster with easy-to-read print. We realized that, once unfolded, not everyone would have an easy time figuring out how to re-fold it. 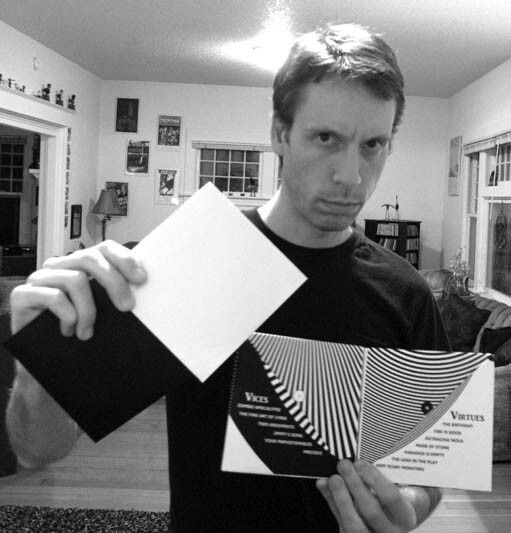 As such, there are subtle instructions built into the artwork for re-folding. Lastly, to humanize it a little we added thumbprints from all four band members -- still in keeping with the black-and-white theme! Of course, your copy will have creases in it when you unfold it, but if you really want an uncreased copy, let me know and maybe we can work something out. Thanks for taking the time and the interest to read all this! I hope you enjoy the music. Putting it in people's hands and ears is my only goal.